Venice has its gondolas, Paris its 2CVS, Rome its Fiats and now finally Miami and Miami Beach have legendary American vintage convertibles to show around our wonderful cities. This is a unique experience that our guests love and so many are families with teens and young kids. You are welcome to read their reviews on Tripadvisor. We are certain that your families will love it as much. Antique Car City Tours offer 3 live languages (English, Spanish and French) and are priced reasonably so it is within everyone's reach. This new concept will be a nice complement to any family recreation you have planned in Miami Dade county. They are licensed and insured. Duck Tours take their "show" on the road AND on the water for a fun-filled 90-minute adventure around Miami Beach. 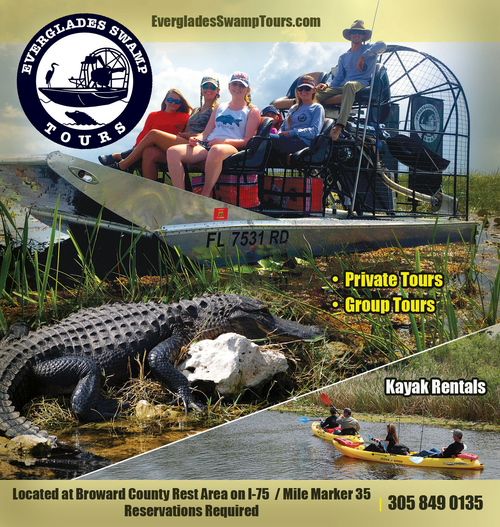 Enjoy jokes, fun facts and lots of quacking while you ride around town in their amphibious vehicle. Take in the sites around South Beach including the Art Deco District then have an exciting splashdown into Biscayne Bay to zoom around the multi-million dollar mansions of the rich & famous. The Duck is equipped with life jackets of all sizes and a fire extinguisher per requirements of the U.S. Coast Guard. On land the Hydra Terra amphibious vehicle can travel up to 65 miles per hour and on water the "boat" can go up to 6 knots. Each tour holds no more than 50 passengers. The Duck Tour may be chartered for parties and other special group events. If you are looking to have a great beach experience than look no further than parasailing and water sports at Parasail Miami Beach on Collins Avenue. Water Sports Miami Beach is the premiere location for a great water sport experience. They create a safe and fun Miami Beach experience with many options to choose from. Not only are there parasail rides available, there are many different classic water sports to take advantage of when you visit Miami Beach. Water Sport Options and Beach Packages: Parasailing - They offer the latest in performance sails and platforms. Single and Tandem rides are available. Guided Jet Ski Tours - Take a 90 minute, narrated jet ski tour of the spectacular Star Island.Celebrity Mansions. Jet Ski Rentals - Offering the top of the line Yamaha Jet Skis at a competitive price, you can rent a jet ski and have over 5 miles of riding fun! Power Boat Rentals - Rent your own 26 foot, 300 horse powered speed boat and explore the islands and ocean of Miami Beach with up to six friends. Day on the Beach Package - this popular package includes 1/2 a jet ski ride, for 2 adults or 1 adult and 1 child along with chairs and an umbrella for a day on the beach. Combo Package - get the best of everything with this combination of jet skiing and parasailing. Champagne Sun Sail - if you are looking for a more low key, romantic adventure you will want to try this amazing sail boat ride. Sail through Millionaires Row and South Beach while sipping champagne at sunset. If you are new to the area, or a first time visitor to Miami Beach you will want to take advantage of the great recreational options that Parasail Miami Beach has to offer. You can save your memories with a photo package available for $30. You can take your camera but at your own risk and the crew on the boat will not take photos with your camera or camcorder. You will be on the boat between 30 and 45 minutes and in the air for 7-10 minutes for a single ride 10-15 minutes for a tandem or triple. The boat can only accomodate a total of 6 passengers. Children must be 6 and over and accompanied by an adult. Children 8 and under must fly with an responsible older companion. Minimum weight is 120LBS for a single flyer, maximum weight is 450LBS combined weight but this is subject to change depending on weather and ocean conditions. Early Bird Discount: You can reserve for an Early Bird trip (10:15 am trip) and save $10 per person.